When you’re a celebrity, it’s a little bit easier to pull some strings and get a bit part on a TV show that you love than it would be for the average fan. 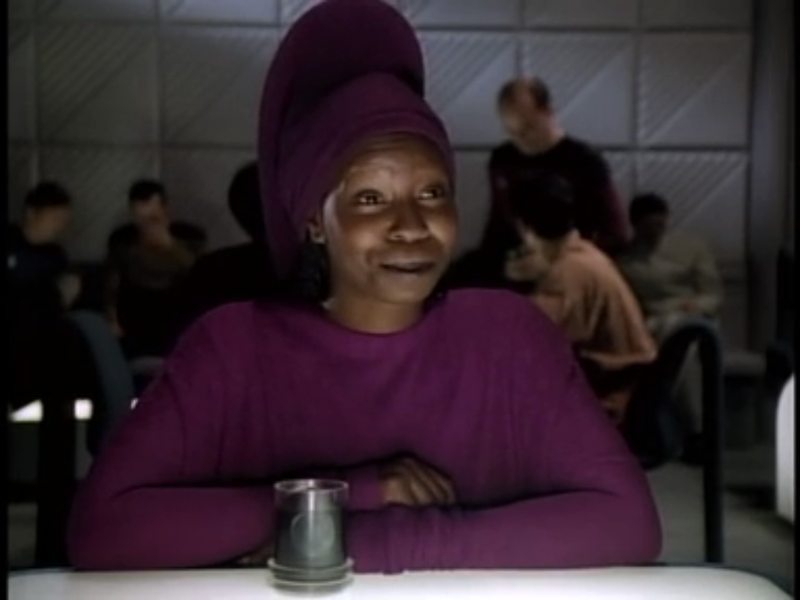 Whoopie Goldberg famously got the role for Guinan after hearing about TNG from LeVar Burton and calling up Gene Roddenberry directly. And most celebrities don’t get quite so large a role as she did–sometimes you can’t even recognize them there at all! This is a little different from the Noteworthy Cameos from a few months back, as those were all people who were relevant or had a good reason for being on the shows, where as these were more for fun, either on the part of the actor or the producers. 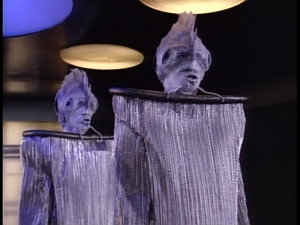 So with that in mind, here are 4 celebrities who showed up on sci-fi shows in some particularly unusual situations. He’s a little harder to spot without that beard he’s known for today. Dave Grohl is best known as the lead singer of the Foo Fighters, so he’s not the first person you might think of when it comes to cameos. Less known is that he has a strong interest in UFOs and the whole mythology built up around that, which was the source of the band’s name. 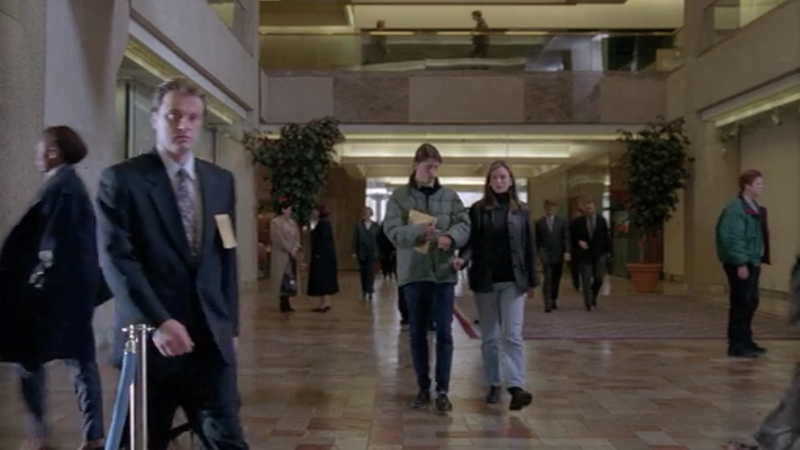 The X-Files was a natural place to make his on-screen debut, then. 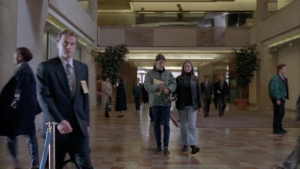 While Grohl’s appearance is little more than a background extra in the season 3 episode “Pusher,” he seems to have been pretty pleased with it. It didn’t really lead to many more appearances but he did end up playing Satan in the Tenacious D movie about a decade later, so that’s something. His most exciting realization was that he was actually allowed to move in this role! 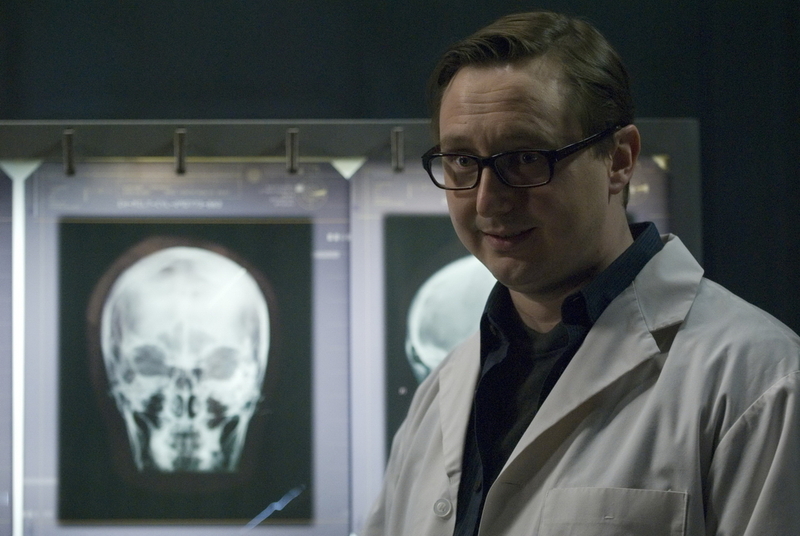 While John Hodgman makes quite a few TV and film appearances these days, he was originally known for being on The Daily Show until the Mac/PC ads started coming out, which didn’t really give him much experience when it came to acting when he was offered a guest spot on Battlestar Galactica in the late season 4 episode “No Exit.” So how did he get the spot? Well, he wrote an article for the New York Times defending the BSG reboot back in 2005, and got to meet the cast and crew through that (which he mostly wrote because he already loved the show in its first season). So when he finally did start getting acting gigs, he mentioned wanting to do BSG to his agent, and the producers remembered him and whipped up a part just for him as Doctor Gerard. You can read his much longer account (along with many others) here. TARDIS disappears before their eyes? Wonderful! 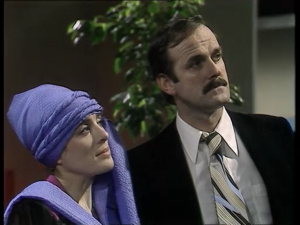 John Cleese is one of the members of the Monty Python comedy troupe, and a pretty well known actor around the UK even aside from that. Unlike these other examples, he wasn’t a particular fan of Doctor Who or anything; he just happened to be filming something else near where the Fourth Doctor serial “City of Death” was being shot. But Douglas Adams, who wrote that episode, was a fan of him, and managed to talk him into showing up for a short bit on the condition that the BBC not try to use his appearance for marketing purposes (and even tried to get credited under a pseudonym to ensure that). It’s an amusing scene in one of the most popular classic serials, with Cleese’s character examining the TARDIS while parked in an art museum, assuming it’s some kind of modern art installation. It’s probably not a coincidence that the Tom Baker cameo in “Day of the Doctor” cast him as a museum Curator, when this is one of the fondest remembered stories from his run. That’s pretty damn identity concealing. Mick Fleetwood is another musician, the namesake for the band Fleetwood Mac, as you might have guessed. And having gotten an acting start in another sci-fi movie not long before, he made it known to the people behind TNG that he wanted to appear on the show. So they said, “Cool. You mind playing a giant fish alien who gets no lines?” Apparently he didn’t mind, and that’s how he end up cast as one of the Antedean Dignitaries in the season 2 episode “Manhunt.” That’s not to say it’s an unimportant role, as they get a good bit of screen time and turn out to be surprisingly important in the last few moments of the episode, but I can’t help imagining a few fans catching his name in the credits and then wondering when he was going to show up all episode. And hey, why not play a weird alien, if it lets you get on the set of Star Trek? That’s all for this week. 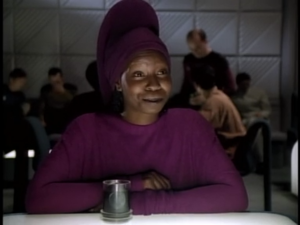 Any other celebrity fans that made their way onto their favorite sci-fi shows you feel are worth mentioning? There are plenty of other examples for Star Trek, for sure. Let me know in the comments, or on Twitter @RetroPhaseShift. Going to try to get a Primer up before the end of the month but it’s been a difficult month as far as making time for the site goes. I haven’t forgotten, though! the first two others that come to mind for me are christian slater in st6 and nathan fillion in guardians of the galaxy.